Due to a Landslide on Saturday Dec 16, 2017 the little village of Santa Lucia was buried under several meters of mud. Lives were lost and the village destroyed. The landslide also cut the road from the coast of Chile (Chaiten) to Futaleufu and the main Hwy 7 to the South called the Carretera Austral. Repairing the road will be over a month. Futaleufu was not affected directly by any of this and all our trips are running. For our clients flying in and out through Argentina there is no effect to your transport. 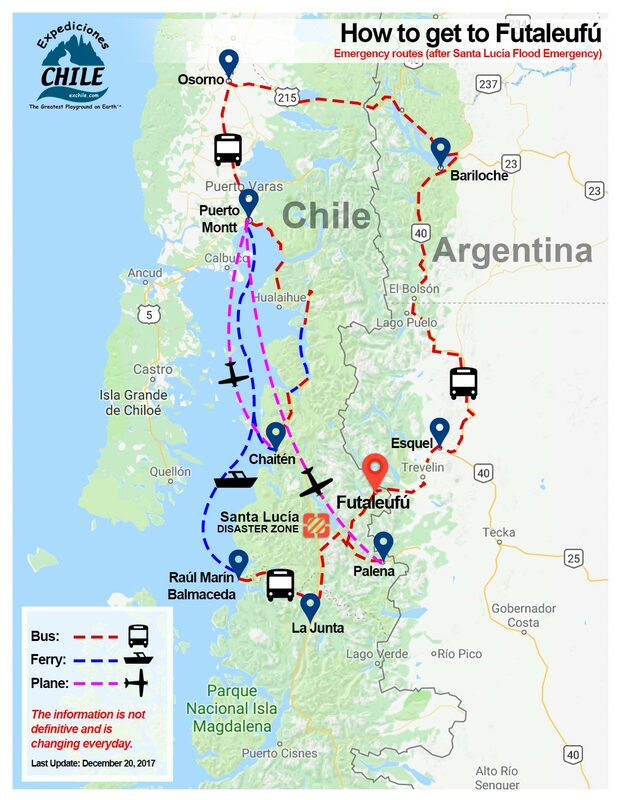 For our clients that are traveling through Chaiten, Chile to get to Futaleufu.... it is temporarily not possible to travel from Chaiten to Futaleufu by bus. There are two alternatives if you plan on arriving through Chile. 2: There are now flights (1 hr and 10 minutes) being operated from Puerto Montt’s Paloma Airport to Palena. Palena is a town 2 hours and thirty minutes from Futaleufu. We can make arrangements to have a vehicle transfer you from Palena to Futaleufu. Call our office to check on your arrangements if you have any questions.